California — Did You Know It’s Legal to be Naked in San Francisco? After our stay in Arcata, we spent a night camping in the Redwoods with our friend Morgan, who we met at Alpha Farm in Deadwood (see earlier post). On an afternoon hike we discovered a huge hollow redwood, big enough to fit 20 people sitting in a circle inside. Morgan left his hat outside to mark the tree so we could come back and sleep in it that night. We walked back to the tree in the dark, singing, and playing the banjo to make sure the bears were aware of our presence. The next morning on our way out, we met a wonderful, recently retired couple, traveling by RV. Anne was excited to learn about menstrual cups, buy them for her daughters, and spread the word about our project to her network. Luckily, we ran back into our friends from Adventure Cycling as we were beginning a famously steep and long climb up Leggett Pass. 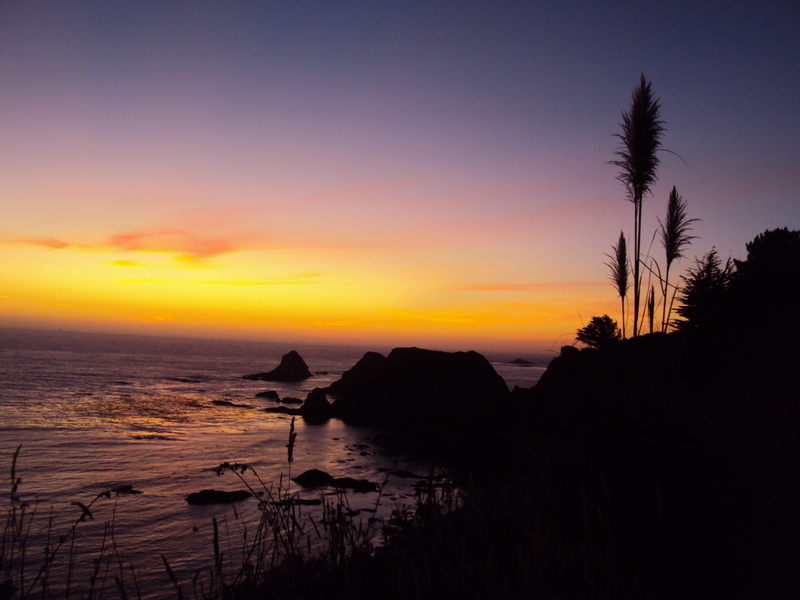 They invited us to camp with them again after a long (and very beautiful) day of biking, and surprised us by inviting us to dinner at a fancy cliff-side seafood restaurant overlooking the ocean in Fort Bragg. Simple living be damned, we accepted. We gave a bunch of massages and menstrual cups for people’s daughters in gratitude for their hospitality. From Leggett Pass onwards, we have been on highway 1 – such an improvement over the 101. The 1 is a small, narrow, winding two-lane road without much traffic. You can hear cars coming from ½ a mile away, and just pull over if they sound big. On the 1, you ride along the edges of cliffs 100s of feet about crashing waves. The stretch of 1 north of San Francisco is very rural. We had little planned in this sparsely populated area so we were open to discovering unexpected people and places – an important reason to travel by bicycle! 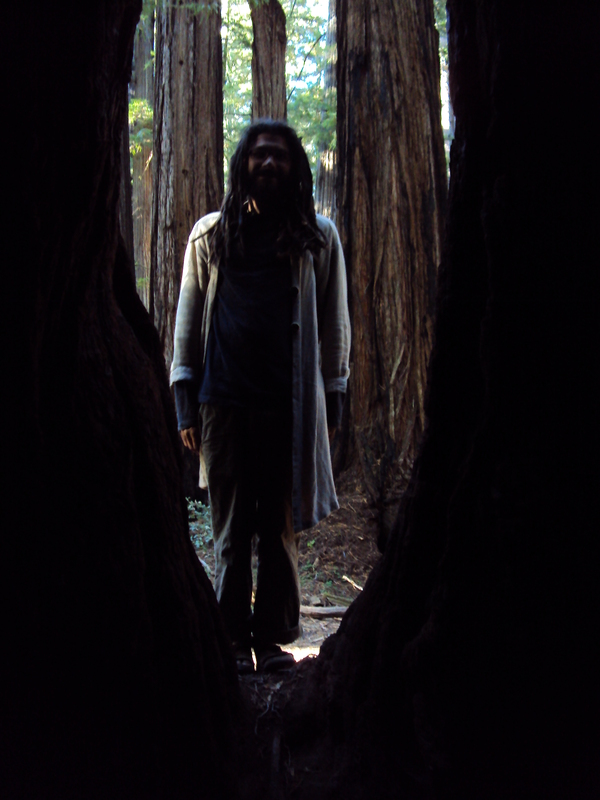 In Mendocino, We happened upon a the Mendocino Rejuvination Music Festival. The festival was another quintessential California experience. Dreadlocks, flowy skirts, raw food, songs about peace and love, and a reclining chair surrounded by gongs, where your whole body could become one with sacred vibrations. We had a few great hosts this leg of the trip. In Elk, a tiny town of 150 on the Mendocino coast, we asked a man who was taking his dog for a walk where all the houses were in town. After a short conversation he invited us to camp in his yard. We went for a walk on the beach, then came back to the house to the sound of Chet playing the guitar (beautifully!). Not wanting to interrupt, we rested on the grass on the front lawn and listened. Later, we collaborated to make a delicious dinner, and got to know each other. 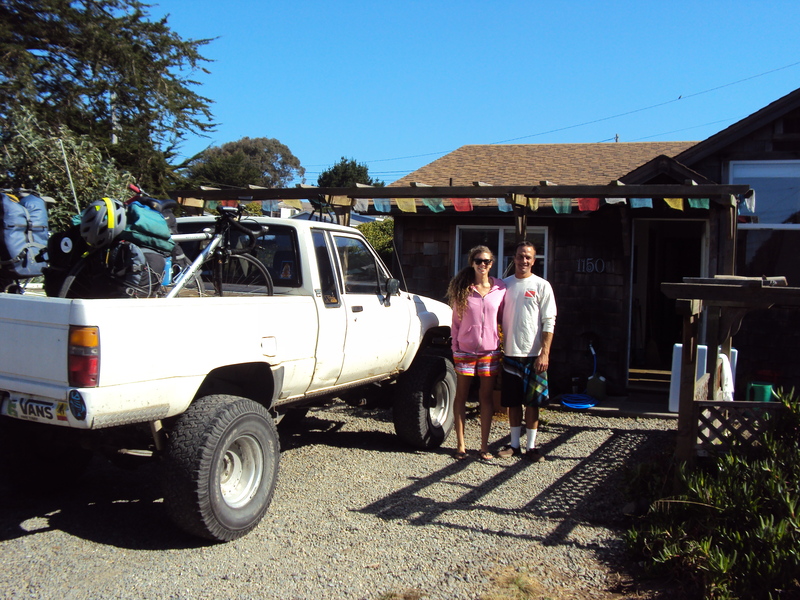 Chet lives in Sacramento with his wife and 15 year old son – they are building a little getaway on the coast. He comes to enjoy the quiet, and play guitar on the beach for hours at a time. When he talks about his family, he glows. Chet is an amazingly intelligent, and thoughtful person. We felt so lucky to be in his presence. Eventually, we got to talking about our project, and Chet happily took a cup for his wife, and has lots of ideas about how she could spread the information in their community. View from near Chet’s house. Alexa gave us a ride to the highway after our stay. Thanks! 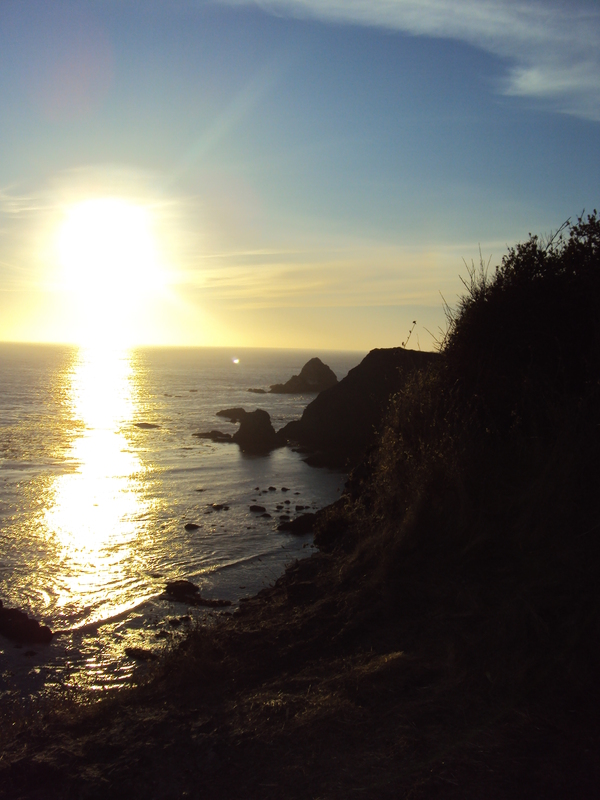 From Bodega Bay, until the San Francisco Bay Area, we decided to take it easy, since Sarah was not feeling well. 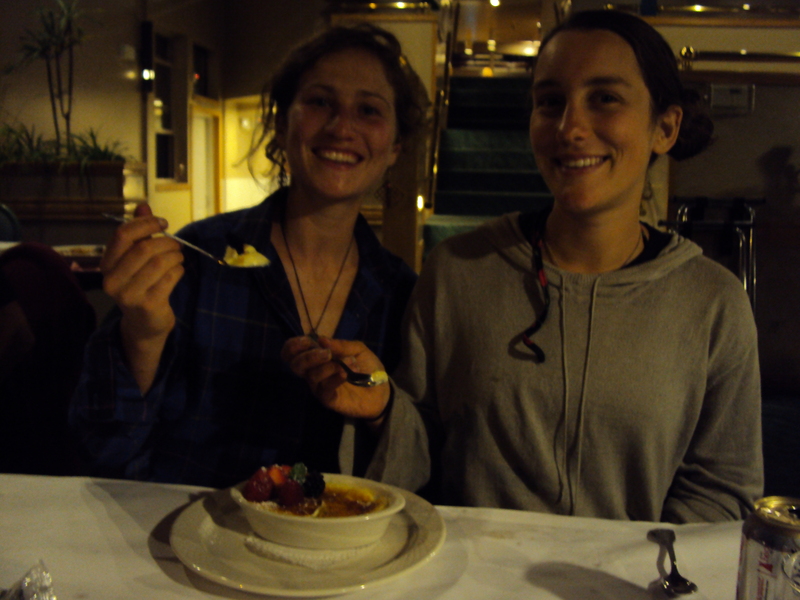 We hitchhiked to Marin county to stay with Christina, the mother of Lucia, a Humboldt State student we met in Arcata. Christina, Michael, and Martin live in a beautiful home on the water at Bel Marin Keyes. We were feeling like we needed some comfort and coddling, and we sure got it! We went swimming a few times a day, ate delicious food, had access to computers to work on our articles, and even got massages from Christina, a professional massage therapist! Christina saw the massages as a way to “support our bodies,” and therefore support our work. She toured us around the surrounding town where we gave out information and cups at an acupuncture office, a raw foods cafe, and other businesses. After two nights in Marin, we took public transit to Berekely, CA to meet up with our friend Kit. Kit is a Lutheran Volunteer (“LV,” similar to Jesuit Volunteers or Americorps Volunteers) working as an activities coordinator for senior citizens. She lives in a community with three other LVs. We are near the end of a 10 day stay in the Bay Area. This part of the country is densely populated, and super-progressive– a great place to work on our project! By the time we reached the Bay Area, we had been on the road a little over a month and had given away all 72 of the cups we started with. A nomadic lifestyle , staying places usually one, very occasionally, two nights, is fun, but also stressful. Kit’s house in Berkeley is a place for us to recharge our minds and bodies, and the location for a new infusion of cups– we received a total of 140 in the mail! Thanks so much to Lunette, the Keeper, and DivaCup for your help – of course, this project could not happen without you! Bicycling for a month is great, but unbalanced exercise. Upon arrival in Berkeley, we felt like the cyclists in the movie the Triplets of Belleville (a lot of thigh!). 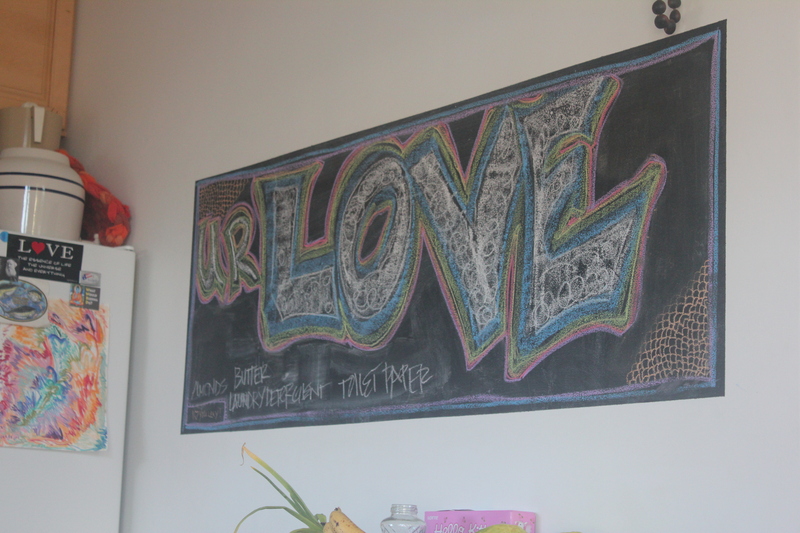 Berkeley is home to a branch of Yoga to the People, a donation-based yoga studio born in LA, now with branches in other major cities. We wouldn’t normally take yoga classes (since we are both teachers ourselves, and they are so expensive), but it feels amazing to be in someone else’s class, and re-balance our bodies after all the biking. We had two events in the Bay Area, and three meetings with organizations that work with low-income women. We visited several co-ops in the enormous Berkeley Student Co-op Association, and we’ve also given out cups to people we’ve met a Yoga to the People, dance classes, and Lutheran Volunteers we’ve met though Kit. In total, we’ve given out about 60 cups in the Bay Are, and still have a few days to go. Our first event was at The Book Zoo, a radical bookstore in Oakland. The owner supplied wine and beer, and gave us each a free book of our choosing! 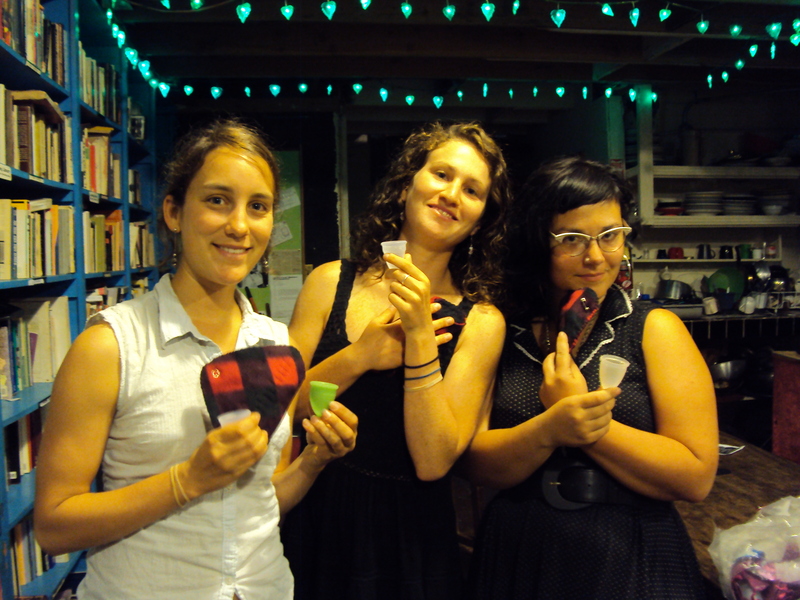 We educated a small group about sustainable menstrual products, and enjoyed each other’s company. The Longhaul is an “infoshop,” bookstore, library, and community space. They host discussions and events, publish a quarterly paper, and a famous planner, the Slingshot Organizer radical planner. Each day in the Slingshot, there is information about a historical event which occurred on that day that you probably did not read about in your history textbook. In the back of the planner, there is a directory of radical spaces listed by region of the country. The Slingshot is something of a toolkit for radicals and organizers. 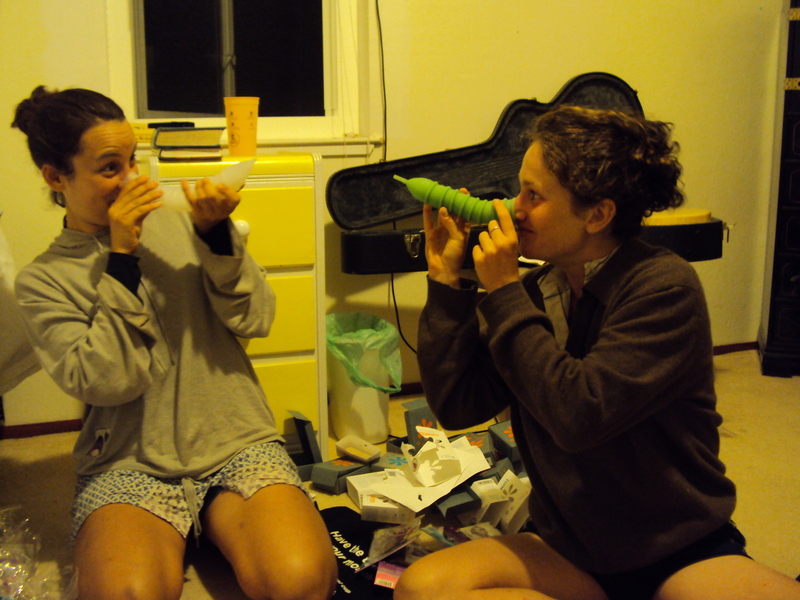 We were special guests at the Longhaul’s weekly craft night. That week, there was a do-it-yourself reusable pad making workshop. We cut out the patterns from some old fleece blankets and sewed the pads together by hand. There were about 15 women at the workshop, most of whom had already heard of, or already used menstrual cups. The few who did not yet know about them, were happy to learn, and accepted our gifts with enthusiasm. As we mentioned, Berkeley is the home to the Berkeley Student Housing Cooperatives — one of the biggest networks of student cooperatives in the country. The BSC is a member of a larger network of student housing co-ops, NASCO (North American Students of Cooperation). The BSC collectively owns 17 houses and 3 apartment complexes: affordable housing, mostly for students. We first met with Claire, the Sustainability Coordinator for the BSC. Claire is a vibrant and smart college student at UC Berkeley. We gave Claire lots of educational materials to share with the other co-op houses and talked with her at length about making a bulk order for the whole BSC in order to have discount prices for their members. In the next two days had dinner at three of the houses (yes, two dinners in one night!) and gave away over 20 cups to SUPER enthusiastic young women. Hoyt is a women’s co-op, housing 80 brilliant and progressively-minded young women. Toni and I were so privileged to have the undivided attention of a full dining hall of women at dinner time. This was by far the biggest group of women we have ever talked to at once. They really listened, had great questions, and by the end of our 15 minutes together, most of them wanted cups! We couldn’t give cups away to everyone who wanted them at any of the houses, but we planned for all the women in each house to pitch in to buy the rest of the cups for everyone in the house. That way everyone benefits from the cups we were able to give away, and they are all in it together. This experience at the BSC houses and our other experiences at the student housing cooperatives in Eugene (where they also want to make bulk orders for their houses) has made us excited about reaching out to more student housing networks. After this trip ends, Sarah is hoping to attend the NASCO Institute in Ann Arbor, MI in early November (Since she will already be in Michigan at that time!). This is a meeting place for the most motivated co-opers from all over the country to come together to share workshops and dreams for the future. Though NASCO Institute will cost a pretty penny to attend, having access to this event will be worth it. We want to share menstrual cups with this huge network of communities, help encourage more women to make the switch, and help facilitate discount bulk orders. Sarah will set up a table with cups and information and hopefully lead a workshop about bringing sustainable menstrual products into co-op houses. We had meetings at three social services agencies in the Bay Area. First, Sarah met with Whitney Hubbard from the Berkeley Food and Housing Project. Whitney explained that the BFHP has a women’s shelter and also long-term housing projects. Though the BFHP is not ready to incorporate menstrual cups now, they are starting a big project to green their whole program. They would like to work with us over the coming months to create educational materials to use with their clients as they move towards environmental sustainability. Sarah gave one cup to Whitney to use herself and four more to give out to other staff or long-term clients who want to use them. These first few cups will serve as a small experiment for the future. On Wednesday, we both visited the Women’s Daytime Drop-In Center in Berkeley. The WDDC is a 501 (c)(3) non-profit program empowering women and children to move from the streets to a home by providing ongoing and intensive counseling, case management services, daily support groups, a comprehensive children’s program, a variety of referral services, and a transitional housing program for four single parent families. 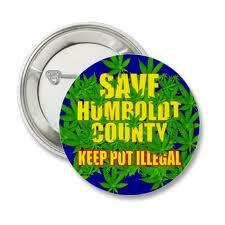 They are starting a weekly discussion group on issues of sustainability and health. Cups can liberate these women from the burden of finding pads and tampons each month. We did a lot of brainstorming on how to talk about cups with the women who visit the center. There are barriers: limited access to clean water and bathroom, histories of sexual abuse, and the need for high-quality training in order to understand and care for the cups. We left the center with 4 cups to give away as they wish – to staff, or to the people they serve. On Thursday, we made a pilgrimage across the bay to The Women’s Community Clinic in San Francisco. The clinic is staffed mostly by volunteers, and provides free health care for uninsured women. We were invited to come speak to the staff during their lunch break, but as we were shown around the facility, we met lots of apologies from staff and volunteers for not being able to attend – they had too much to do! The Center was a hive of order and productivity. We are gladdened and amazed that so many people are working so hard to provide the services low-income women need. We did get a chance to talk in depth with three staff members. All three had been wanting a cup, but had not bought one yet, mostly because $35 felt like a lot to spend on something they were unsure about. We answered their questions, gave each woman a cup, and then talked with them about what it would take to get cups into the hands of their clients. We keep seeing that making the switch is much more likely to be successful if a woman has a friend who uses a cup, can answer her questions and coach her through the first bumps in the road. 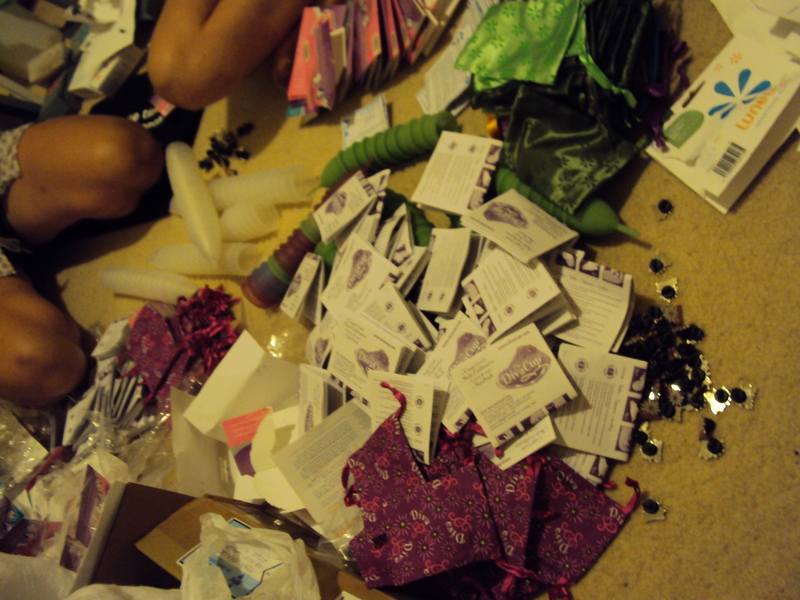 We decided that the first step is to get the people working in women’s health to use reusable products. We left the WCC with 10 cups to give away to staff and volunteers. They promised to follow up with us about where those 10 cups end up, and with their thoughts on how the WCC can institute programs to liberate women (who are ready) from pads and tampons. The WCC is absolutely amazing – we are inspired to have met these women, and glad that the cups are in such good hands. 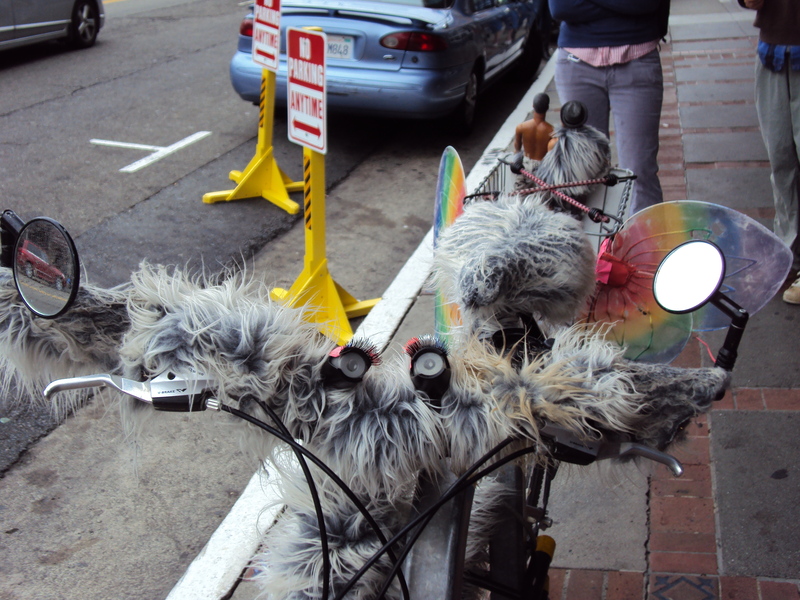 After the WCC, we biked (yes, San Francisco is really hilly!) to Golden Gate Park for the Hardly, Strictly Bluegrass Festival- San Francisco’s biggest music festival. Three days, six stages, over 750,000 attendees and 350 musicians—amazing! Thank you San Francisco! We will spend Saturday enjoying the festival, and then head towards Santa Cruz on Sunday morning. Our time is running out for bicycling: we have an event in LA on October 10th, so that leaves us with only 6-7 more days of bike riding before we will have to hitchhike into the city. So it is! These are days to be savored. Still no word from Ellen Degeneres, even though about 10 people have written her letters asking her to put us on her show. Bummer! Ellen – you too busy to read your mail…? Let’s keep on writing – see our post to make it easy! We have written two articles from the road which explain the basics of why to switch to reusable menstrual products. One just got published in Street Roots, a Portland paper sold by homeless people which addresses issues of social class. The article will also be published in the upcoming newsletter for the Olympia, WA organization POWER (Parents Organizing For Welfare and Economic Rights). We’ve posted the articles as PDFs on our Resources page. Please email them to interested friends and family. If you have ideas on newsletters or newspapers that would want to publish the articles, let us know. Bike Snob wrote about us again! After he wrote about us the first time, we wrote him an email of thanks, and sent him a funny card and a menstrual cup for his wife. Bike Snob received the gift, and gave us another approving nod in his blog. On September 29th, the day he mentioned us in our blog, we got 1,210 hits! This is huge for us, since we only have 45 subscribers – thanks Bike Snob! In all seriousness, it makes me feel all tingly inside that two people are not only touring by bicycle in order to promote something they believe in, but that they’re doing so with good cheer and in good humor. Then again, that inner tingling could just be a sign that it’s menstrual cup time. Either way, it’s a refreshing alternative to the usual touring logs in which people boast about their mileage, document the minutiae of their bicycle set-ups, and generally suffer from the delusion that their cycling vacations are on par with the exploits of the great explorers. We Made it to LA!!! I found your blog through GladRags, who posted a link to your blog one day some months ago on Facebook. 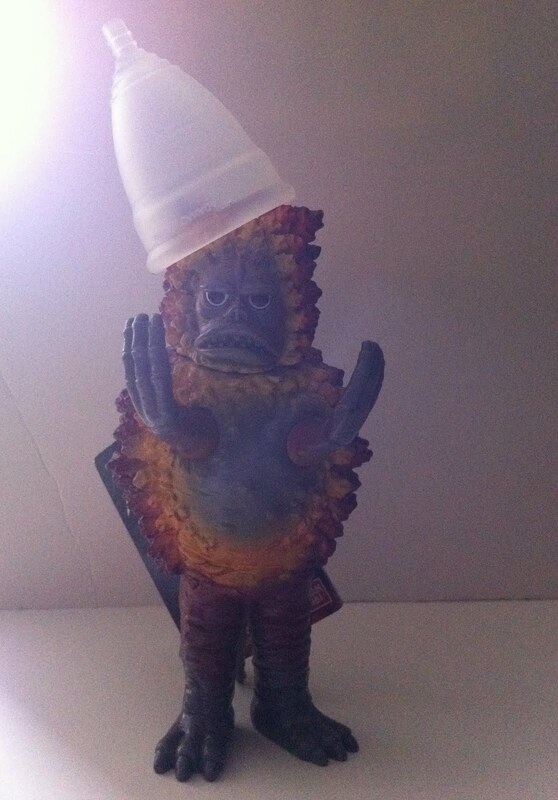 Thanks for all you’re doing to promote the cups! It sounds like you’ve had a lot of fun along the way. This month, I finally got around to buying a Diva Cup and so far think it’s great. I actually found out about menstrual cups by using cloth diapers on my baby. In reference to the comment by the one lady about how babies need a hip option to replace the disposable diapers…there already exist many hip options in cloth diapers. :-) There are tons of cloth diaper companies that sell reusable diapers with gorgeous prints as well as reusable menstrual products, like menstrual cups and cloth pads. Hey Ladies! Great to hear about all your adventures. I was just thinking about you as I rode back from work, wondering when your next update would come. Let me know when you are in LA and if you will need housing!